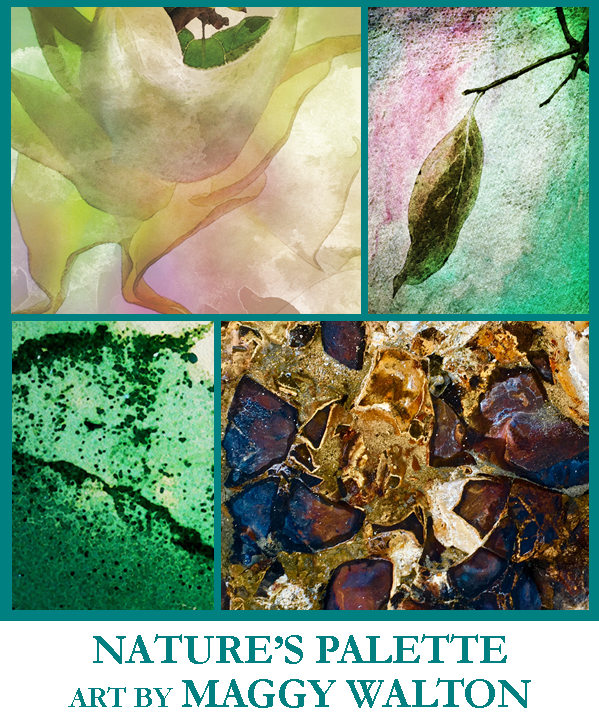 Cornerstone Cellars Napa Valley is host to “Nature’s Palette” an exhibit by Napa artist, Maggy Walton. The show runs April 1 to July 30, 2019 with a wine and cheese reception planned for Thursday, April 18, 6-8pm at Cornerstone Cellars tasting room in The Village at 850 Bordeaux Way, Suite 6, directly across from The Meritage Resort and Spa. The tasting room is open daily from 11am to 7pm. Her subject matter is rooted in nature. She describes her photography as illustrative digital photography using her camera and her computer to create the images. She’s lived most of her life in Napa Valley. Her 40-year professional career has spanned all aspects of the publishing and printing industry, from magazine and newspapers to creative design and lithography. A member of the Napa Valley Art Association and Arts Benicia, her work is available at Art Gallery Napa Valley in downtown Napa, or online at www.maggywalton.com and at shopvida.com/collections/maggy-walton. She can be contacted at maggy.walton@gmail.com or 707.738.4253.